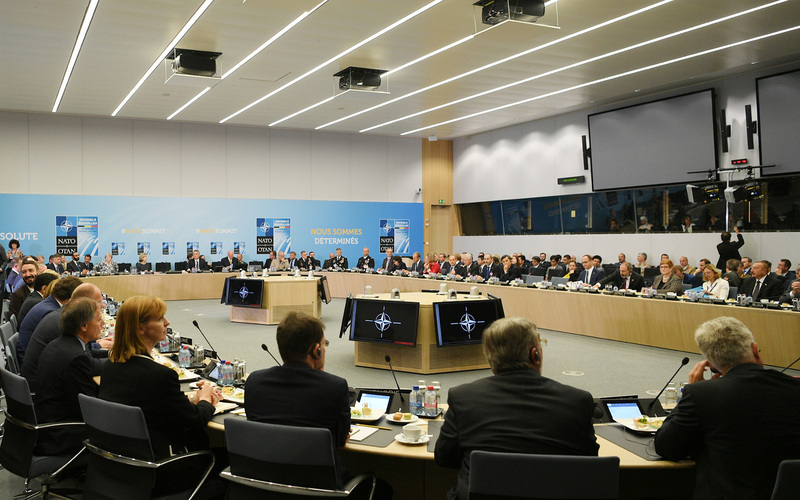 A meeting of the North Atlantic Council at the level of Heads of State and Government with Resolute Support operational partner nations and potential operational partner nations has been held in Brussels. President of the Republic of Azerbaijan Ilham Aliyev attended the meeting. 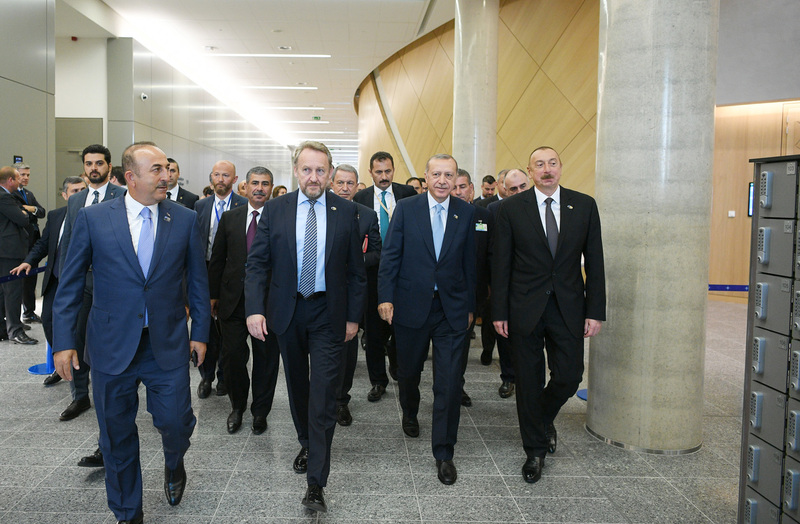 President Ilham Aliyev arrived at new NATO headquarters to attend the North Atlantic Council meeting on NATO Resolute Support Mission. 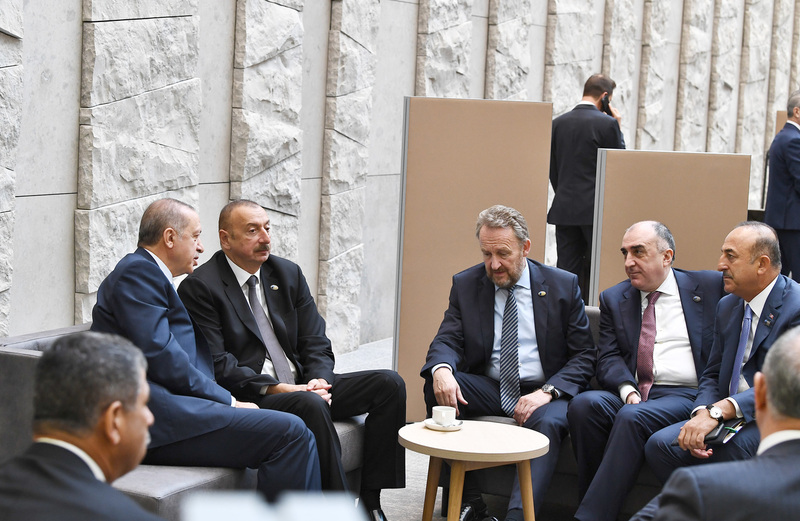 The head of state met with Turkish President Recep Tayyip Erdogan and Chairman of the Presidency of Bosnia and Herzegovina Bakir Izetbegovic here. 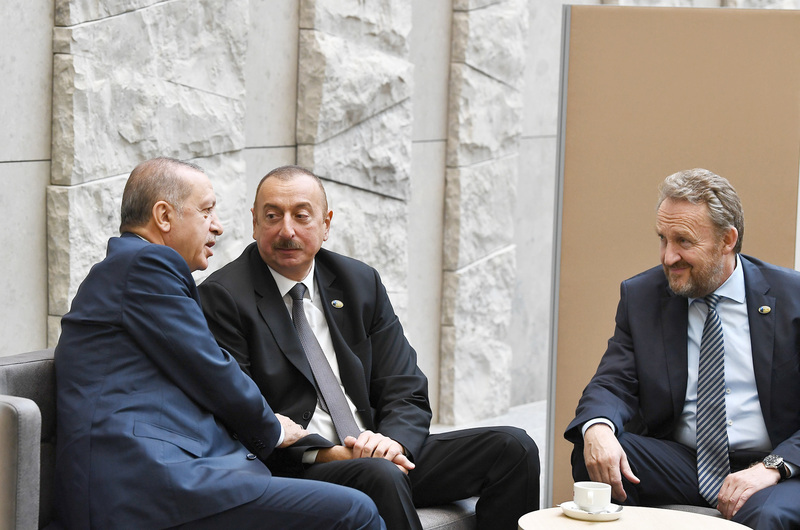 Turkish President Recep Tayyip Erdogan invited President of Azerbaijan Ilham Aliyev and Chairman of the Presidency of Bosnia and Herzegovina Bakir Izetbegovic to Turkey's NATO office for tea. President Ilham Aliyev then took part in the meeting of the North Atlantic Council at the level of Heads of State and Government with Resolute Support operational partner nations and potential operational partner nations. - Mr Secretary General, ladies and gentlemen. The relations of strong partnership between Azerbaijan and NATO play an important role in the issues of regional security and stability. Since 2002, Azerbaijani peacekeepers have been serving in Afghanistan shoulder to shoulder with NATO soldiers. In January 2018, Azerbaijan increased the number of its servicemen in the Resolute Support mission by 30 per cent, bringing them to 120 people. Azerbaijan has repeatedly provided financial support to the Afghan National Army Trust Fund. We in Azerbaijan have organized exercises for the personnel of the Afghan army. "ASAN xidmət" is used in Afghanistan and includes more than 200 public services. Azerbaijan also provides transport and logistical support for the "Strong Support" mission. The commissioning of the Baku-Tbilisi-Kars railway in October last year facilitated provision of significant transit support for this mission. Last year, Azerbaijan co-chaired the "Heart of Asia – Istanbul Process", while last month we hosted a meeting of the International Contact Group. Azerbaijan, a country suffering from Armenian aggression which has resulted in the occupation of 20 per cent of its internationally recognized territory and a country with a million citizens subjected to horrific ethnic cleansing, is well aware of the economic and humanitarian consequences of occupation and destruction. Azerbaijan appreciates the continued support of NATO and member-states of this organization for the political independence, sovereignty and territorial integrity of our country, and a settlement of the conflict with Armenia on the basis of these principles. Azerbaijan will continue to provide assistance in eliminating security threats facing Afghanistan, achieving peace and development of the country.